A lovely, deciduous, small vase shaped tree that is made for gardens. It has arching branches. 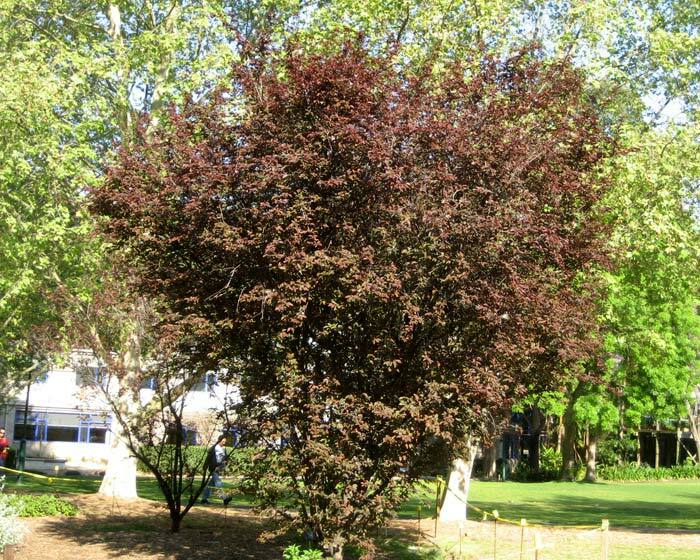 The new leaves are a reddish purple and age to a more greeny purple and remain that colour until they fall in autumn. These trees are planted for the wonderful display of early spring flowers. 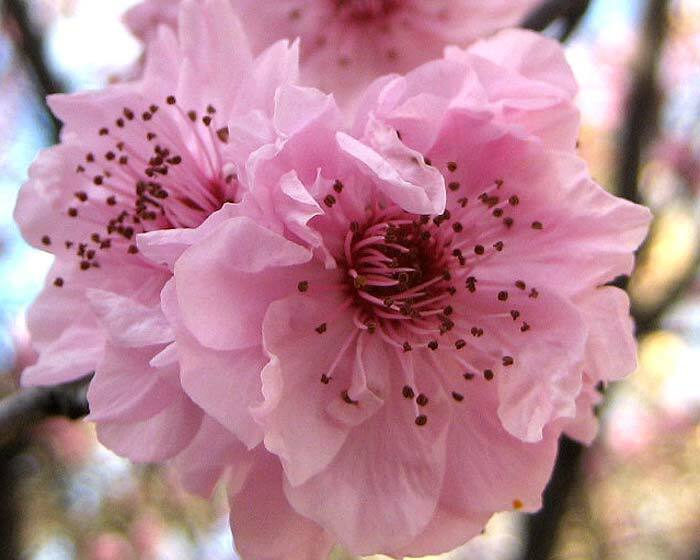 The pale pink double flowers have prominent stamens and are slightly fragrant. They grow in small clusters from spurs growing on 1 to 3 year old wood. Soil: Almost any well drained soils. 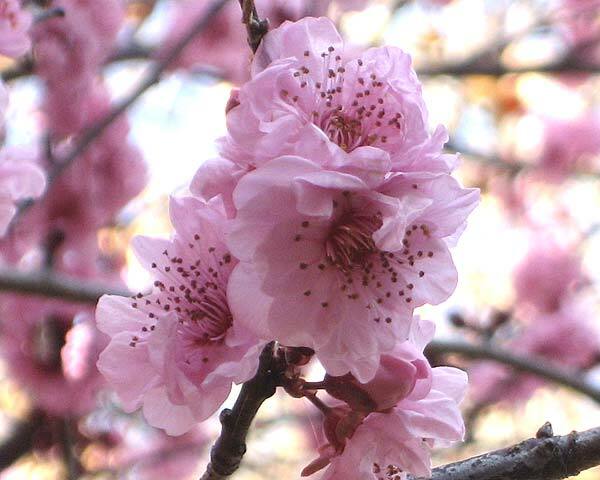 Other Species: 430 species that include 5-6 subgenera like P.armeniaca - the apricot, P. amygladus - the peach, nectarine and almond, P. cerasus - the cherry. 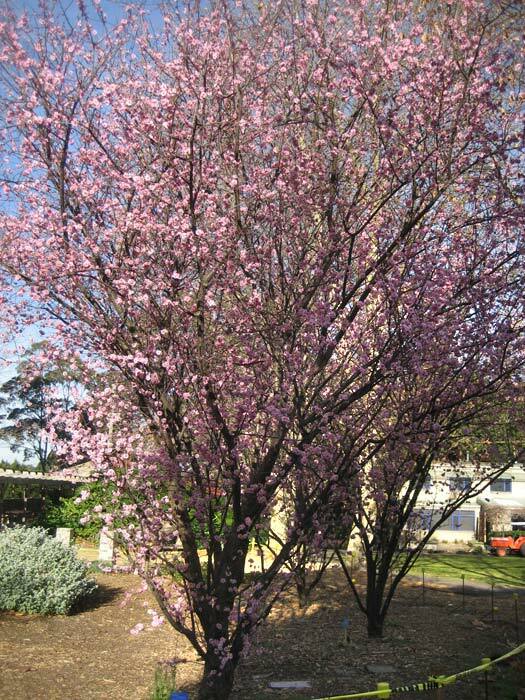 Comments: This is a great beacon of spring in colder climates - heralding warmer days, sun on your back and new growth to brighten the landscape.